After reading “The Higher Taste“ I converted to vegetarianism. It has been one month since I last ate meat, and I am confident, thanks to help from people like you, that I will never eat meat again. What’s more I sent a copy of the book to my parents in Ireland and they have stopped eating meat also! I often eat at Govinda’s in Surfers Paradise. I would love to know how to make a dal like the ones I get there. I have purchased “Lord Krishna’s Cuisine: The Art of Indian Vegetarian Cooking” and “The Hare Krishna Book of Vegetarian Cooking”, but am not sure if the recipes are in there. Could you tell me what the actual name of the dal is, or help me with a recipe for it? Thank you, L.
“I am not sure which recipe they use at Govinda’s. 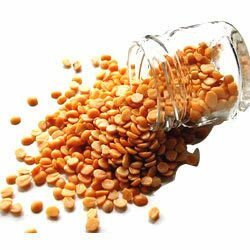 Dal recipes are often up to the individual cook at the moment, and there are hundreds of variants. There are some lovely dals in both of those books you purchased. I suggest that you ask the cook/restaurant if they could share the recipe, or if they could tell you what type of legume they use, or if they could direct you to a book that has the recipe. I will share a dal recipe with you, but as to whether it be the same as you have tasted exactly, I cannot say. South India has many regional varieties of rasam. This one comes from Bangalore. Serves four. Boil the toor dal, water, and chopped green chilies in a heavy saucepan. Reduce the heat and simmer for 20 minutes or until the dal becomes soft. Add the tomato, chopped fresh coriander, and rasam powder. Continue cooking the soup for another 7- 8 minutes, stirring occasionally. Stir in the salt, sugar, and tamarind. Continue cooking for another 7 – 8 minutes.